Ski in and ski out! 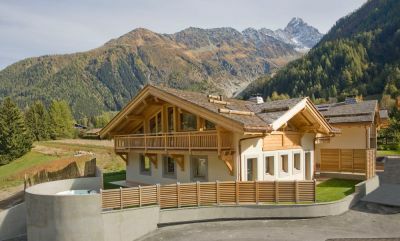 A luxury ski chalet located at the foot of the Chosalet nursery slope in Argentiere. You simply take the nursery lift up and take a short ski to the Grand Montets lift which leads to some of the most impressive pisted and off-piste skiing in the Alps. The accommodation at Chalet Halti is over 3 floors with the living area at the top offering fabulous views of the mountains above. The lounge, dining and kitchen areas are open plan creating a spacious relaxing environment for you to enjoy with family and friends. 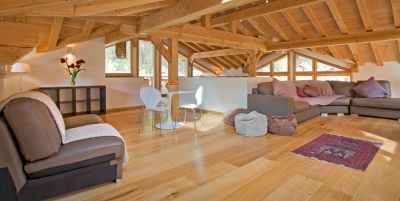 The furnishings are modern and stylish with exposed beams; an atmosphere that is fresh and inviting. Down a level, there are 4 double or twin bedrooms with en-suite shower rooms and there is access to the outside lower terrace complete with Jacuzzi. 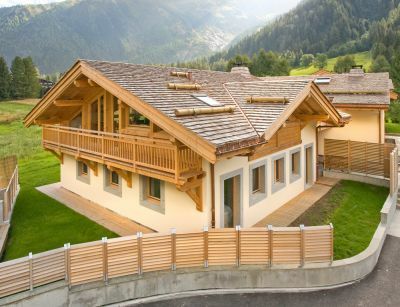 Luxury chalet with living space of 180m2 over 3 floors. 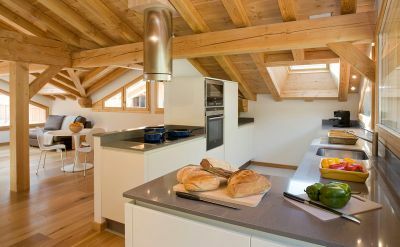 Chalet Halti is the ideal luxury self-catered accommodation for groups and families booking ski holidays near Chamonix. 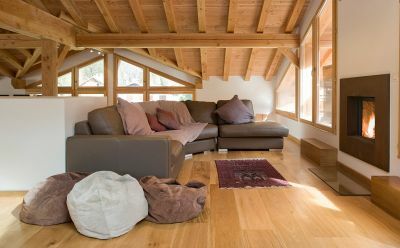 This spacious chalet offers four large bedrooms and bathrooms, open living room with fireplace, TV and DVD, Jacuzzi with panoramic views, sauna, play area with games, toys, PlayStation, Wii, dining area and Wi-Fi.